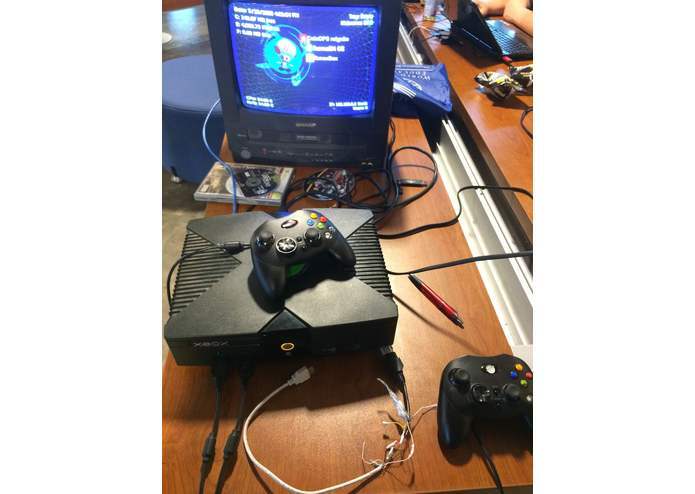 An attempt to softmod an old Xbox to unlock its full potential. Softmodding the system allows for a distribution of Linux to be partitioned onto the hard drive and then allows for the importation of emulators and ROMS. Turns the Xbox into a media center. 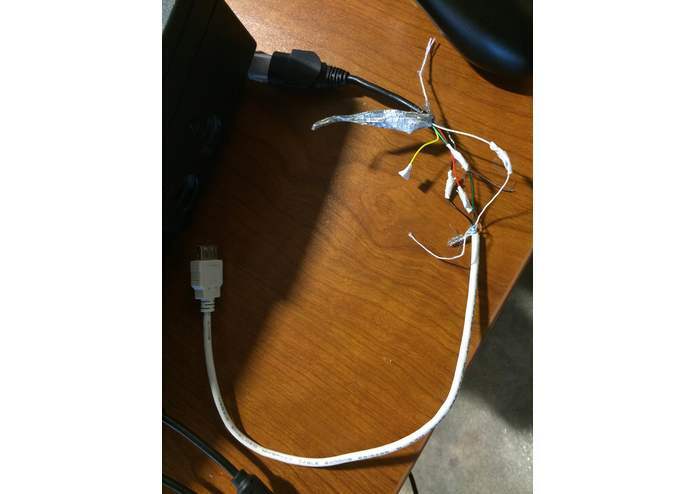 We had to build a port to female USB cable by hand splicing two different cables into one, with our mentor Ben's help. At almost every step of the way we ran into some sort of obstacle that just added time to the overall project. The first was having to hand splice the cables, the tedious task required a lot of time and patience. Not having the standard process for connecting the Xbox to the laptop for FTP transfers; having to figure how to direct connect the two systems together due to a lack of Ethernet port availability on the floor of the building we were working on was one of the more complex challenges. Also, getting certain emulators to work along with other ROMS took some tweaking to accomplish. By far, we are most proud of the spliced USB cable, we rigged that together with some athletic tape to keep the wires from touching and everything... although we couldn't have done it without Ben's help so we are extremely appreciative of that. Getting the softmod to work as intended is also something we're happy to have accomplished. How FTP works along with how arduous it can be without the proper connection. How the whole process of softmodding truly works and some ways to improve upon it. To order a Female PC USB to Xbox Controller Port cable so that we don't have to manually splice separate cables. More emulators and as many ROMS for games as we can possibly get for the system. 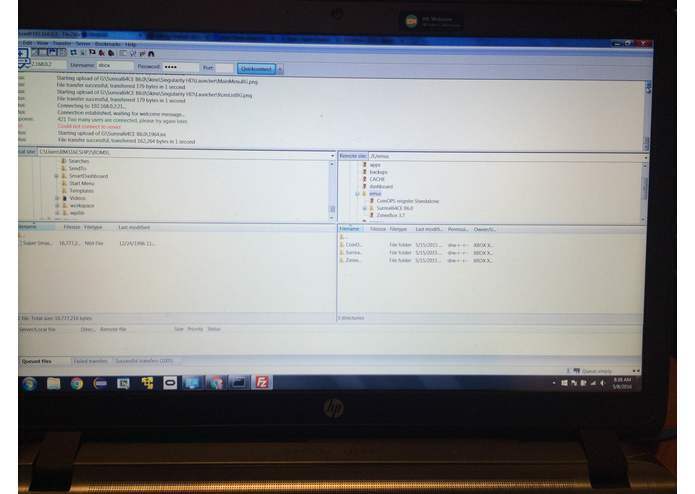 Primarily worked with the software and network connections for the FTP transfers and softmod downloads. Channeled the Emulators and ROMS from the Laptop to the Xbox Linux System.